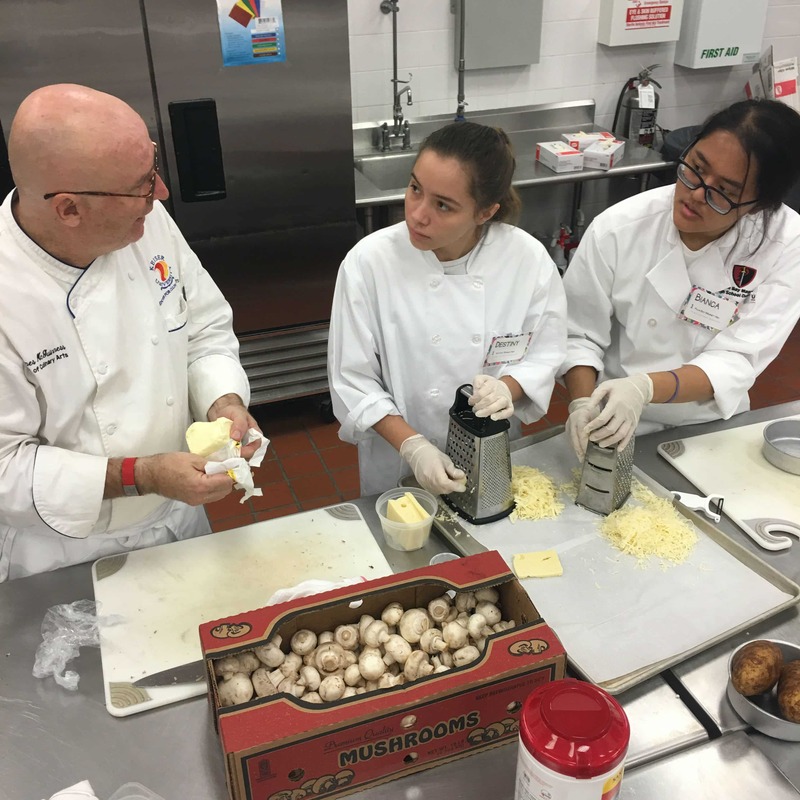 The Melbourne Center for Culinary Arts held a Florida Restaurant & Lodging Association ProStart regional workshop. 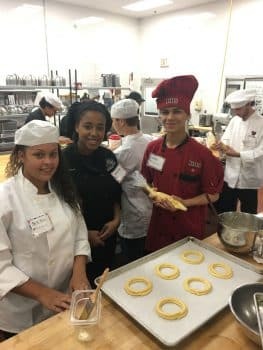 Students from high schools around the state rotated through sessions, gaining hands-on experience with knife skills and cooking and baking methods, all in order to produce a variety of traditional French dishes and desserts. 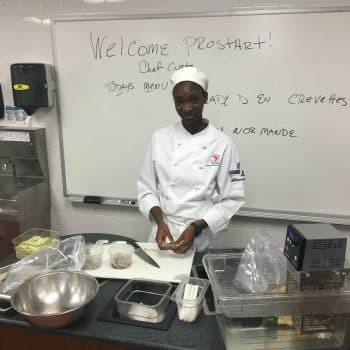 Keiser University Named Among Top Culinary Schools in the U.S.
Mrs. Percy and Mr. Williams believed in me. They were more than instructors, they tried to get to know you as a person and tried to understand your goals so they could push you towards them. And Mrs. Crawford from student services helped me find a job before I even graduated. She was dedicated to my overall success. Going to Keiser University was one of the greatest experiences in my life. All of my deans, professors, and staff made me feel that I was a part of something very special, and I am. I would recommend for anyone to get their education at Keiser University. The two instructors that have impacted my life are Mr. Williams and Mrs. Percy. Both of them believed in my ability to become a great graphic designer, regardless of how I felt about my skills. I appreciate their motivation to get me to where I am today. Beyond the curriculum of the courses, the lessons the instructors have taught me have paid dividends in my real work experiences. How to respond to criticisms, project and time management, interview skills, the list goes on and on. At the end of the day, they not only showed me how to design, but they taught me how to be a professional. If not for my education at Keiser I probably would not be where I am today, in both life and career. It is because of going to Keiser and the instructors I had that I joined a club started by Mr. Williams, The Lakeland Shooters Photography Group, which allowed me to venture into an amazing and very creative field that I use to enhance all aspects of my life. The Design program at Keiser University was filled with real world learning and hands on instruction… Based on the portfolio I created while a student at Keiser University, I landed a job in Graphic Design for a major online retailer immediately after graduation. The year and a half I spent in the program better prepared me for attaining a job in the field…As a hands-on learner, the project-centered teaching was perfect for me. Without the education I received at Keiser University, I would not be where I am today! I not only received an excellent education but also encouragement and training that built my self-confidence every day. 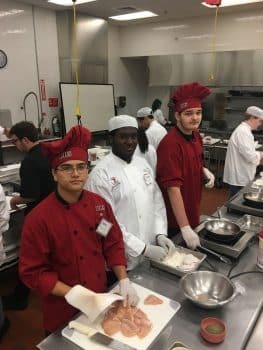 I realize the amount of knowledge I gained and feel that the educational experiences have developed me in to a person who can move higher up the career ladder. Keiser University’s MBA program has renewed my mind, changed the way I think, and given me a new sense of purpose. The professors transformed my attitude and behavior, gave me the self-confidence I was lacking, and restored my energy. It has been great attending and graduating from Keiser University. Because of the small class sizes, I was able to build good relationships with classmates and professors. The PA professors care very much about the progress and success of the students and have been great advisors every step of the way through the program. Attending Keiser University and getting my degree was the best decision I have ever made. The small class sizes and personalized attention helped me get my degree quickly. The hands-on experience and the education landed me a job at a neighboring law firm. I chose Keiser because it had everything—small classes, caring professors, hands-on learning, and counselors that are really there for you. I feel like I’m part of a family here, not just a number. After being denied for several promotions at my current employer, I decided that I needed to further my education. Since graduating from Keiser with my bachelor’s degree in Business Administration, I have been promoted and I am able to obtain positions that weren’t available to me before. Keiser helped change my life by getting my education at the right school! I had been going to another school before, I dropped out because I felt that I was not getting enough information. When I found out about Keiser, I was pleased because the instructors were great. My decision to attend Keiser University has been one of the best decisions I’ve made. I chose to enroll in the Information Technology program… The one-class-a-month pace helped incredibly with my self-discipline. The BA for Business Administration at Keiser has to be one of the best in the nation. Keiser takes the basics that are taught at the Associates level and uses them to strengthen your skills and knowledge. I found that Keiser University’s Nuclear Medicine program of advanced studies and small class size was a perfect fit. I never came across a faculty member who wasn’t truly interested. The College of Chiropractic Medicine is now enrolling. For more information, call (561) 471-6000 or 888-KEISER-9.